Voted the #1 Charleston Harbor Tour company is Sandlapper Tours, a must-do Charleston experience. This tour company operates out of the Charleston Maritime Center near the SC Aquarium and provides guests with various History, Nature, Sunset, Ghost, and Holiday Cruises. Step aboard the 49 person capacity Palmetto and learn all about the city and its surroundings. If you are interested in the History Cruise you will learn about this city's beginnings in 1670, by English colonists from Bermuda. You will learn about how the city is one of the Top 10 US Ports in Value of Goods both then and now, and even about the Southern Lifestyle in general, the classic Charleston Antebellum architecture, and old ghostly rumors run rampant around town in the Ghost Tour. Nature Cruises will take you beyond the Ashley and Cooper Rivers onto Morris Island, a pristine 840-acre island only accessible by boat. Here you will see crabs, snowy egrets, blue herons, and maybe even dolphins! Admire the barrier island ecosystem, the marshlands, and the waterways during this tour, and even learn a bit about Morris Island's Civil War History as a Confederate Army point (explained in the popular hit film 'Glory'). Aside from the above, your group will also catch a glimpse of the incredible 500 ft towered Ravenel Bridge, Fort Sumter, Fort Mouline, and Castle Pinckney. Student groups specifically can customize their trip with school curriculum standards, as is explained below. 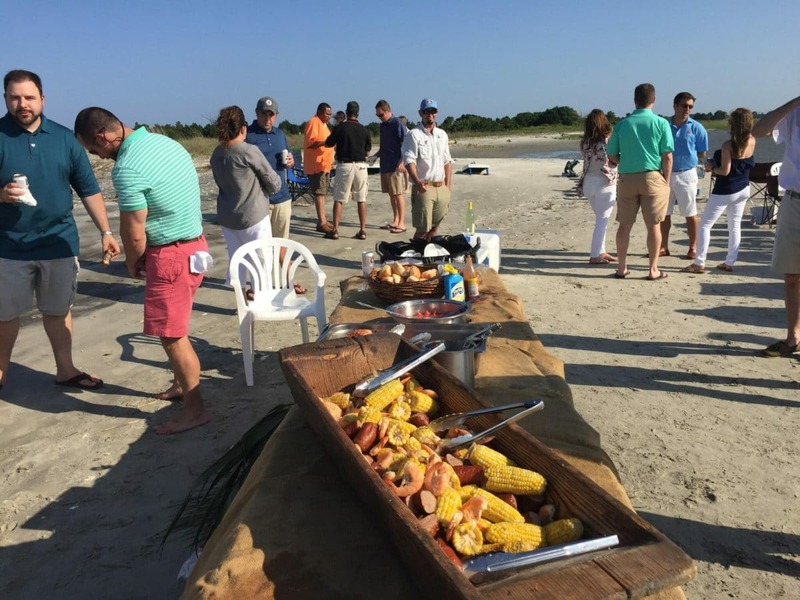 *Groups may bring boxed lunches onboard, though there are also options for an Oyster Roast on the Beach or Lowcountry Boil on the Beach with your group, a great way to get local, fresh food and feed your group well!